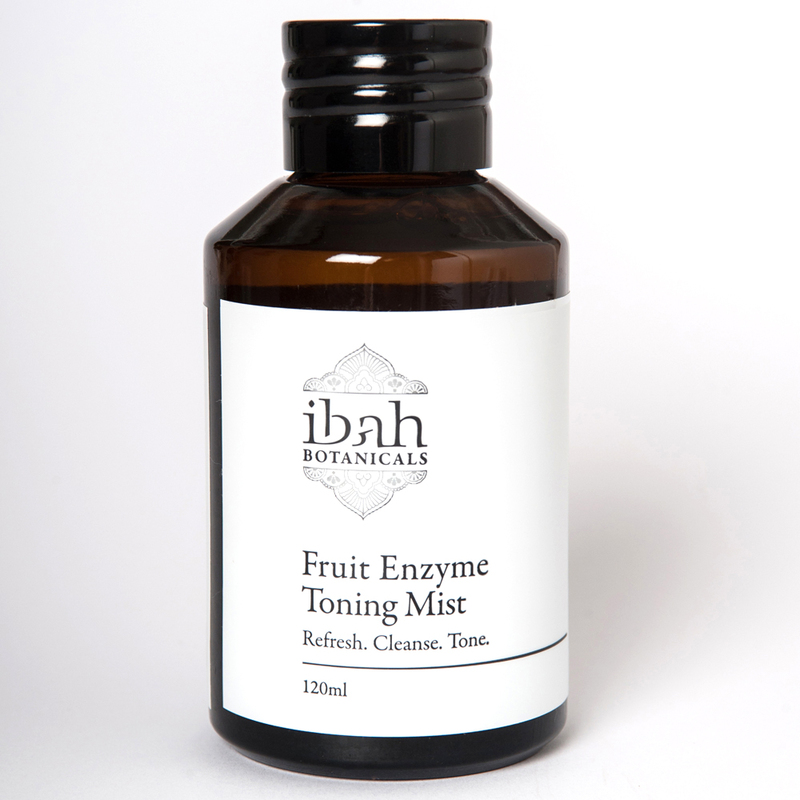 This fruit infused anti-inflammatory refreshing toner hydrates, renews and rebalances the complexion helps keep the skin bacteria free. Pineapple, Papaya and Apple Extracts contain natural enzymes which gently dissolves dead skin cells that lead to blemishes and breakouts, works to soothe surface irritations and gently relaxing lines to restore skins appearance. Visibly uplifting and reviving to lethargic skin. Scented with a tropical blend of Lime, Sweet Orange and Orange Blossom. Alcohol free. Directions: Apply to cotton round onto face and neck after cleansing morning and night and anytime skin feels dehydrated. *Aloe Barbadensis (Aloe Vera) Juice, *Glycerin, *Asimina Triloba (Papaya) Extract, Ananas Sativus (Pineapple) Fruit Extract, *Pyrus Malus (Apple) extract, Solubilizer (Coconut & Almond Derived), Citrus Sinensis (Orange) Essential Oil, Citrus Aurantifolia (Lime) Essential Oil, Citrus Bergamia (Bergamot) essential Oil, Juniperus Deppeana (Juniper) Essential Oil, Tocopherol (Vitamin E), Leuconostoc (Radish Root) Ferment Filtrate, Potassium Sorbate (Salt Derived). *Denotes Certified Organic.